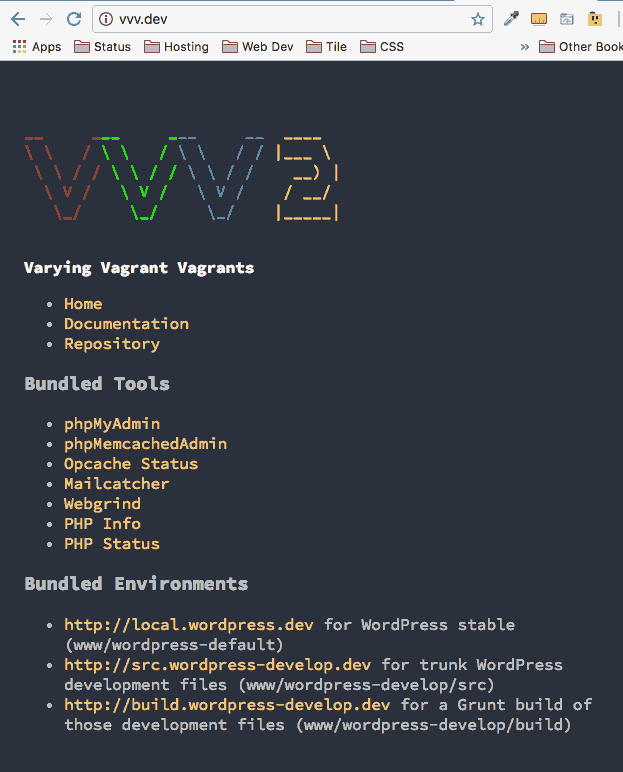 This is a 4 part reference guide to getting started with Vagrant, VVV and WordPress. Vagrant is a very powerful development tool that allows you to use virtual images referred to as boxes to use as your local development environment. You can download and use a number of virtual ‘boxes’ with the aid of a virtual machine application like the free VirtualBox, you can also create and share your own boxes with colleagues via the Vagrant Cloud. 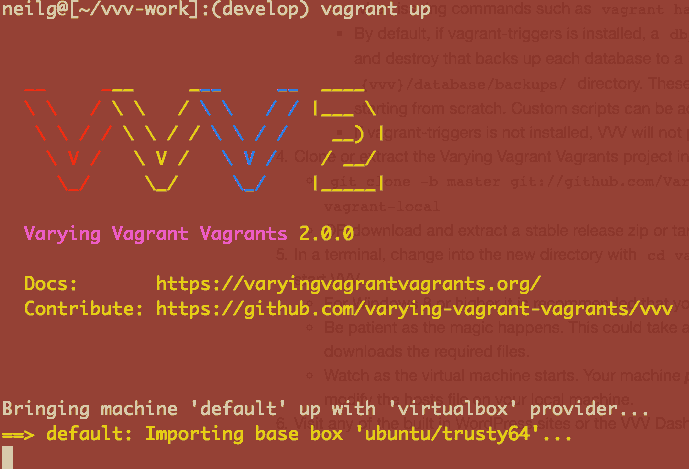 Some good folks have got together and released a virtual box image suitable for local WordPress development called VVV aka Varying Vagrant Vagrants. First things first, the base tools need to be installed; Virtual Box and Vagrant itself, follow the Virtual Box instructions to install that, and then Vagrant. You get all the above and some more which cover the full gamut of WordPress theme and plugin development. Before you install the main VVV it’s best to install 2 needed plugins. The GitHub instructions for VVV say these steps for 2 or 3 plugins are optional, which they are, but to have VVV up and running without further configuration it’s best to install these plugins prior to running vagrant up otherwise you will need to do further configuration to get Nginx, PHP and MySQL running. Navigate in hour home directory. 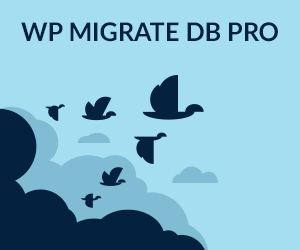 This plugin allows specific VVV scripts to fire on boot and on halt of the virtual image for example it will back up your databases when vagrant is halted or shut down. If you get errors installing the plugins, most of these related to network timeouts, just repeat the process. Don’t worry about the location of where you filing at this point as these are global plugins. If you are comfortable with Git you can clone the repo locally, otherwise download the zip archive from GitHub VVV-develop.zip to your downloads directory, unzip it and rename it to ‘VVV’. You can leave it in Downloads or move it to another location. The ‘develop’ branch is actually the latest VVV2 version, the ‘master’ branch is the previous version. I would recommend making the install in a folder in your home directory – to get to your home directory just run cd on the command line. I currently use the develop branch as it has the latest fixes and is very active – if you prefer you can also use the master branch. This is the all powerful Vagrant command, the first time you run it, it will go to the Vagrant cloud and download the needed resources to boot the new VVV virtual machine in a standalone full development environment, this will take some time depending on your internet connection, maybe time for a brew, subsequent boots in the same directory will be much quicker as the core files will have already been downloaded and cached. 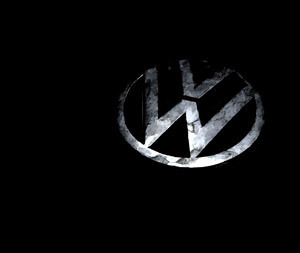 Now everything is installed, in your browser go to http://vvv.dev/ to see your sites. As well as some links to some web dev tools on your Vagrant VM Box including phpmyadmin, phpinfo and mailcatcher. That’s it, the Vagrant VVV instance can be shutdown with vagrant halt and booted with vagrant up – to totally remove it you can run vagrant destroy. drwxr-xr-x  1 vagrant vagrant   442 Jul 17 04:40 .
drwxr-xr-x 1 vagrant vagrant 680 Mar 2 2017 .
drwxr-xr-x 23 root root 4096 Mar 2 07:41 .. I have a similar all in one article on WP Beaches website to get VVV and WordPress up to speed on a local Vagrant/WordPress workflow.